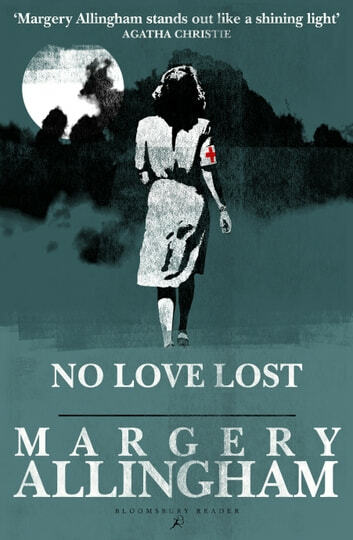 Comprising of two short novellas, No Love Lost is a thrilling work of suspense. The Patient at Peacocks Hall: Dr Ann Fowler is a young doctor who has dedicated her life to medicine in the wake of heartbreak, after losing her childhood sweetheart to movie star Francia Forde. Until one day, when Francia Forde arrives in Ann's hometown under the strangest of circumstances. As events unravel, Ann finds herself fighting to save Francia's life, whilst being threatened by a cunning madman, driven to insanity by the very woman Ann is caring for. Jealousy, revenge and heartbreak dominate this classic Allingham suspense story. Safer than Love: Elizabeth Lane marries a safe and secure headmaster to escape a more dangerous love, but finds husband's body stuffed down a well – and herself as the chief suspect.